Social Media can be a powerful marketing channel. Individuals, all the way up to Fortune 500 companies are finding massive success on social networks like Facebook, Twitter, and others. Yet so many small businesses are struggling with social media and social media marketing, why is that? I’ve met with many small businesses over the last few years, some of which are current and former clients. Whenever the conversation shifts to social media, I usually get one of two reactions. These answers seem like polar opposites, but the reality is they are coming from the same situation, they just have different attitudes towards a solution. Sometimes it’s hard to convince clients that Social Media is worth investing in, but I do feel very strongly about it. My first step is to figure out what the client was doing incorrectly that caused their social media efforts to produce little to no results, and eventually be abandoned. This is by no means a comprehensive list of ways small businesses can do social media incorrectly, it’s just a short list of the most common mistakes they seem to make. This list could also be used for larger businesses, or even individuals – the concept is the same. I admit, every time I hear this from a client, I have to contain myself. I usually end up smirking a little. I hope this doesn’t come off inappropriately. The fact of the matter is, this really couldn’t be farther from the truth. I don’t care how new or how small your business is, there is always someone out there looking for you, and if they aren’t looking for you directly, they are looking for what you have to offer. That’s why you went into business, isn’t it? Social media is becoming an increasingly popular way for discovery and getting questions answered, so whether you believe it or not, there are potential customers out there waiting for you. I’ve worked with some small businesses in some exceedingly boring industries (think abrasives, iron working machinery, etc.). These industries don’t seem like a good place for social media, do they? Sure – they might not perform as well as industries who thrive on social media (think Dollar Shave Club or Old Spice), but success is relative. There is success to be had, regardless of what your product is or what industry you are in. To further prove this point, I took a local establishment (shall we say…watering hole?) that had no social media presence and conducted somewhat of a social experiment. I was curious if I could generate some response and engagement by creating a single Facebook page for a legitimate business. So a few months ago, I did just that. This local establishment is an extremely small “hole-in-the-wall” dive bar. It’s loved by locals, but hidden from most of the rest of the world. It’s visible from the major highway that rolls through town, but there are no big signs or advertisements asking people to stop. I believe they run their business solely on their passionate regulars. 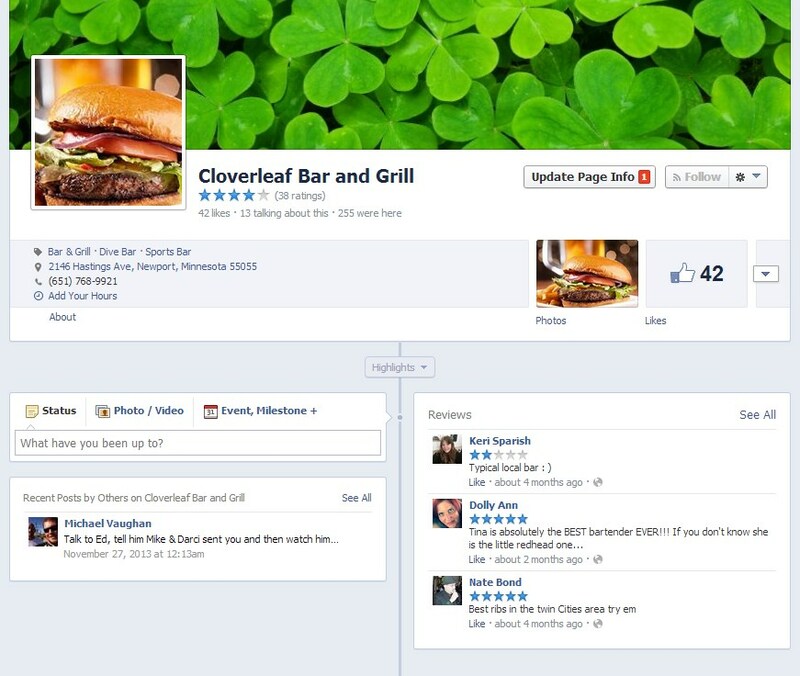 The Facebook page I created generated 42 likes, 3 reviews, and a couple of messages. Nothing overly impressive right? Would you be surprised to know that I haven’t posted a single Facebook update? All I’ve done is add business information and added a profile and cover photo. These 42 people (and probably more) were specifically looking for this bar on Facebook. These are current and potential customers! Doesn’t every small business owner want to expand their customer base? Isn’t getting people talking about your business a great way to generate buzz and maybe get a few new customers? That’s even more people looking for this business. Ton’s of likes, shares, reviews, check-ins – you name it. People are looking for this business on social media, there is no debate. This business has the opportunity to claim these listings and open up an entirely new marketing channel for their business. It takes no more than an hour of your time to claim or create a Facebook Business Page, Google+ Local Page, Yelp listing, FourSquare listing, and more. By creating these listings, you’re making your business more visible to potentials customers searching for what you have to offer. Even if you don’t plan on keeping these profiles updated with fresh content – just getting your name, location, contact information and business hours out there can help send new customers walking through your door. This is probably the most common mistake that small businesses make on social media that they don’t realize they are making. We’ve all seen it – businesses or individuals who only share their own content or products, over and over again. There is nothing human about these social media accounts, they are almost robotic. 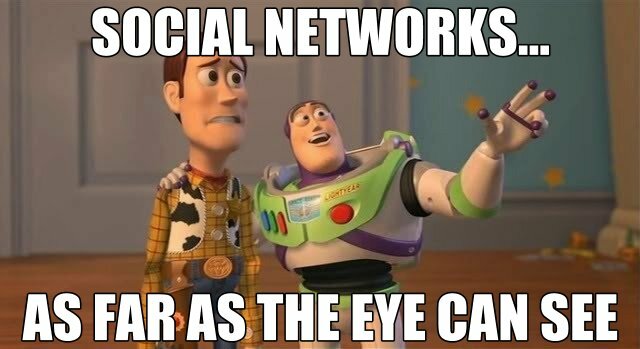 It’s cliché, I know, but don’t forget the “social” in social media. Success from social media is driven by engaging your customer base, and leveraging your followers. Consider these two small businesses. Mike’s Crab Shack uses Twitter and Facebook to post daily specials, coupons, menus and special events. Jake’s Lobster Bar uses Twitter and Facebook to do all the same things, but Jake makes a personal effort to interact with his customers. He posts polls and questions, pictures of his staff, information about where his food is coming from, posts recipes, and much more. It doesn’t take a rocket scientist to predict that Jake’s Lobster Bar is going to get more attention for his business on social media. With a little effort, this could start driving customers through the door. Stop treating social media as a platform in which to shout out sales pitches to a seemingly endless pool of potential customers. No one is interested in following a business that doesn’t seem human. If you actually put forth an effort to engage and interact with your customers, you’ll have a much more successful experience, and your customers will feel stronger about your business. By engaging with your customers, you also begin to build a community around your business, and anything you want to share has the potential to be amplified to a much greater extent than if you were shouting through that megaphone at no one in particular. Negative reviews can be a real drag for a small business. 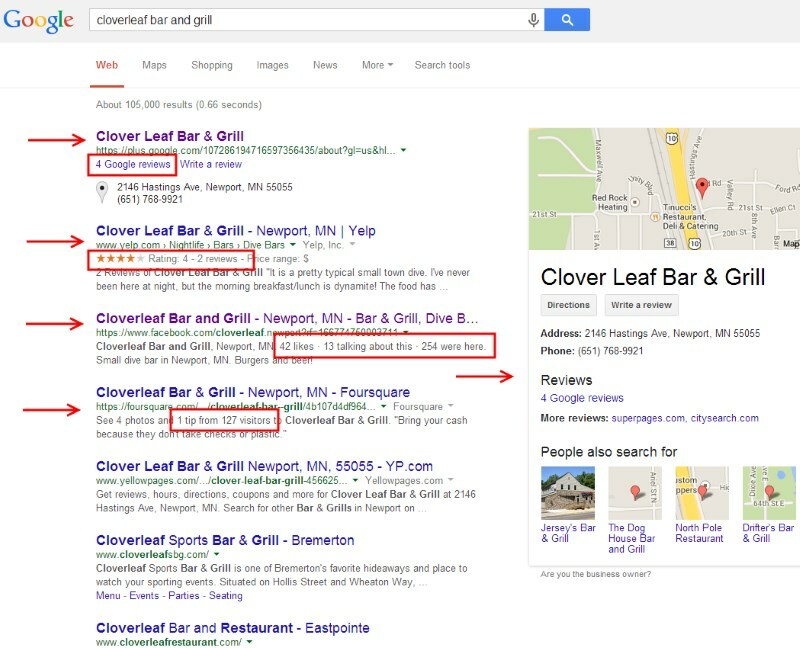 If you’re struggling to get legitimate reviews as it is, a single negative review can really damage your reputation. The saying goes “any press is good press,” but in the case of negative reviews they should be avoided in any way possible. Negative reviews can quickly derail a successful business. This is because people are looking more and more to online reviews before making a purchasing decision. The first time you get a negative review, it’s not uncommon to panic. Don’t panic! 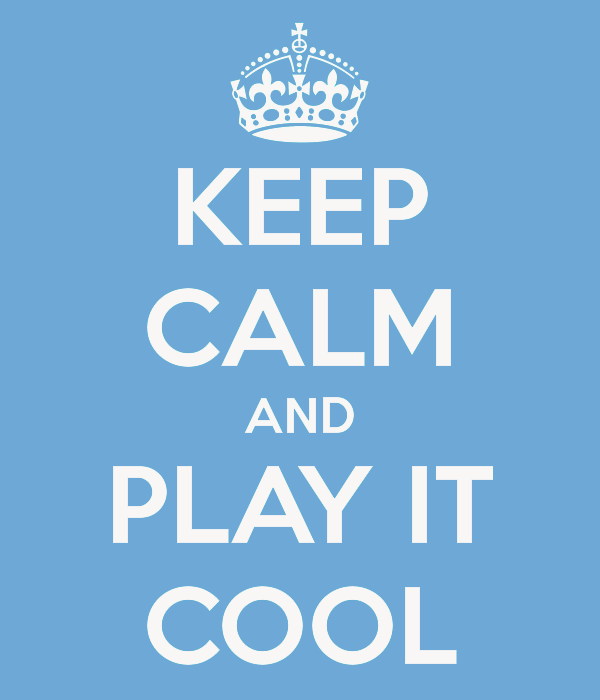 Keep calm and play it cool. I’ve also had a few clients that choose not to create social media accounts out of the fear that they will be spammed with illegitimate negative reviews. I don’t understand this mindset. Believe it or not, negative don’t have to produce negative results. It seems counter intuitive, but the best strategy when faced with a negative review is to embrace it. Look at it as an opportunity to improve. Take the customers feedback to heart and audit your own product or service to see if there is room for improvement. Another way to embrace negative reviews is to use it as a situation as an opportunity to show the world how great your customer service is. No business is perfect, and it’s impossible to please every customer. When a customer is not pleased with your product or your service, use it as an opportunity to change their opinion of your business and show everyone else what kind of service you provide. It should be your highest priority to please all customers, even those who are not satisfied with their purchase. Many small business owners launching social media campaigns assume they will see an immediate increase in leads, conversions and sales. Their strategy consists of posting on Facebook and Twitter, and waiting for the sales to roll in. Social media is viewed as another channel to drive traffic; another revenue stream. 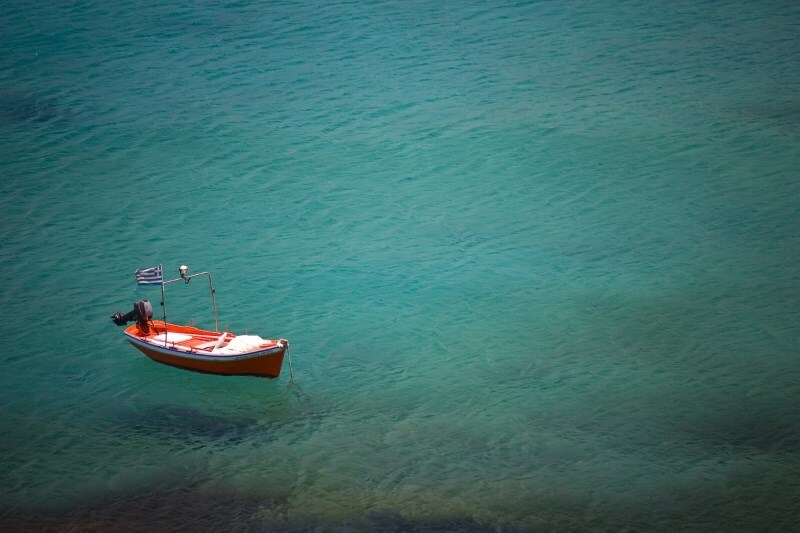 Expecting that social media will produce a boost in sales is a poor assumption. While it’s not unprecedented for businesses to use social media as their main source of sales conversions (example: ThinkGeek), for a brand new business starting out – sales are likely going to be few and far between. Social media is notorious for being a poor channel for driving sales decisions, and this is amplified when your social media presence is small and insignificant. Rather than using social media as a way to sell, use social media to give back to your customers – providing them with something of value. Create an environment where you can give your customers (and potential customers) a place to learn about your industry, as well as your products and services. Interact and engage with them. Produce unique discounts and sales for social media customers, and give your followers an incentive to share your business with their connections. Social media is a great place to build a brand. Getting people talking about your brand, building brand awareness, creating positive press – are all important aspects of succeeding on social media. Building your brand, as well as building a community of brand advocates can provide the ROI that you initially required for those lofty expectations. It’s not uncommon for small businesses to launch a social media campaign and immediately go a little overboard. There are so many social media networks out there, so why wouldn’t you sign up for them all? It might not be immediately apparent, but sooner or later it will be clear to you why this isn’t the best marketing tactic. Three social media accounts turns into five; five turns into eight, eight turns into twelve, tweleve turns into seventeen…and so on. The time you dedicated to social media now needs to be spread across all the accounts you signed up for. Don’t you think you’re spreading it pretty thin? We’ve already covered why social media is important. It’s about making connections and engaging with your audience. If you don’t have time to dedicate to engaging with your audience, then your social media campaign will be a waste of time. Take a look at your competitors and see where they spend their time on social media. If you run an arts and crafts shop, you’ll probably find a lot of success on Pinterest. If you manage a computer networking company, Pinterest probably isn’t for you, but Linkedin could provide a lot of value. Each social network is slightly different, and the way you will engage with others changes from platform to platform. Spend a little time doing research, and test the waters a little. You’ll find what social networks will provide you with the best ROI for your brand and your industry. Every business is different. Trying to do it all by yourself is another way to set your social media campaign up for failure. If you’re a small business owner, you’re probably short on money and short on time. This makes hiring a social media specialist a low priority. So, you’ll bootstrap your social media efforts and run them yourself. I’ve seen countless small business owners take this route. It might not sound like a good investment, but hiring a dedicated social media expert (or at least tasking a member of your marketing staff with this project) can be well worth the investment. If hiring someone isn’t an option, ask your current employees to help out where they can. Giving employees access to post from the organizations social media accounts is a great way to get a lot of activity out of your accounts. Be warned, however, a lot of social media “gaffs” have happened this way. Make sure you trust the employees you give access and have a solid “best practices” list set up. For small businesses trying to break into the social media space, you have to play it smart. Do what you can with your limited budget, but try not to spread your efforts too thin across several social media networks that won’t provide the return you’re looking for. Don’t assume that your customers (and potential customers) aren’t looking for you on social media – they probably are. Don’t treat social media as solely an advertising platform, and remember to set appropriate expectations. Be smart about it, and have fun! Social media is…being social!